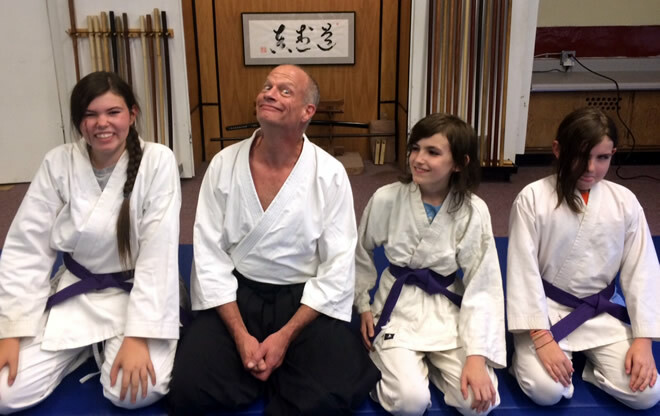 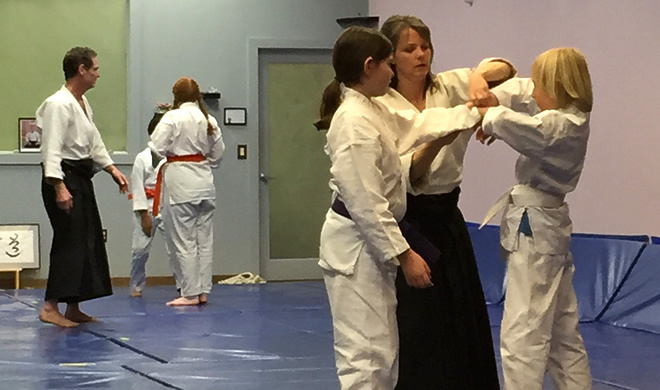 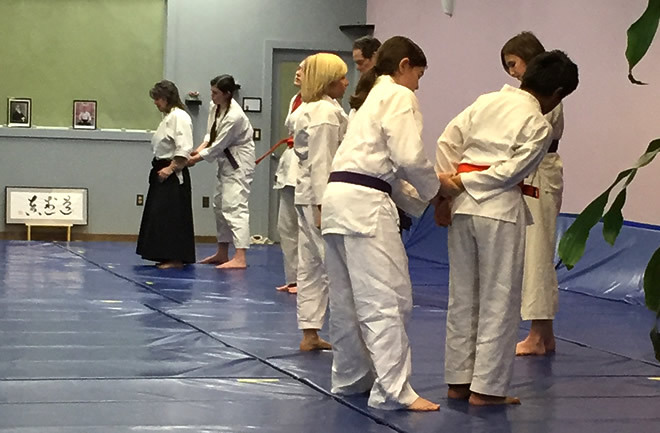 Fiona, Owen and Chloe Hill, with their new purple belts, The top rank for the kids program. 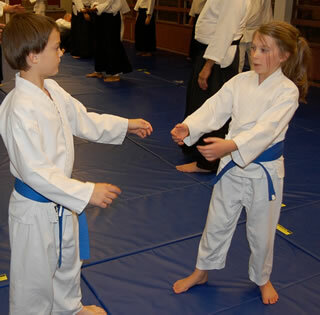 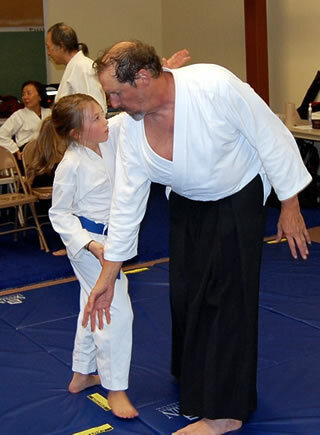 Practicing at the special class by Imaizumi Sensei 10/2011, Abby with Bob, and Drew with Jake. 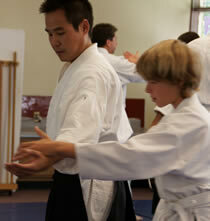 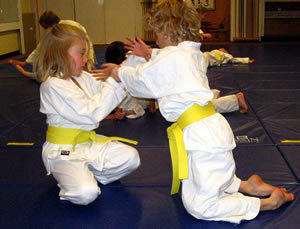 More at the special class with Imaizumi Sensei,10/2011. 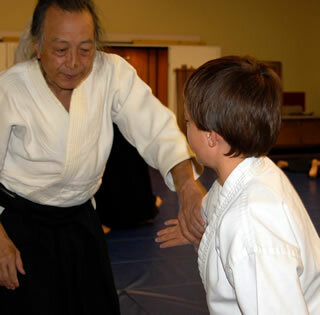 Abby with Solomon, Imaizumi Sensei with Solomon. 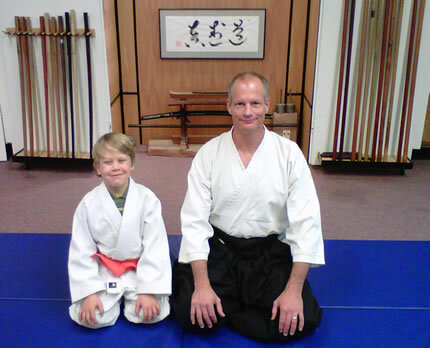 Plus the right pic is promotion of Steve to 6th Kyu. 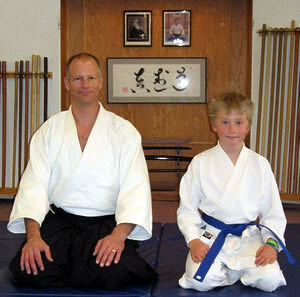 Julian Colby tested and promotes to 9th Kyu, Oct 17, 2010. 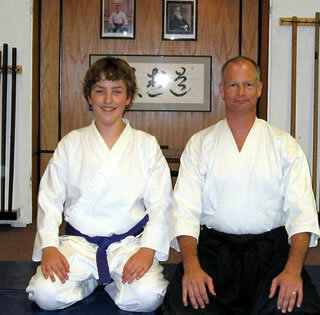 Michael Wilkinson Sensei, instructor. 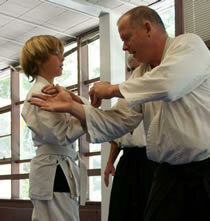 Jesse trains during the special 4hr class taught by Richard Strozzi-Heckler Sensei, June 2008. 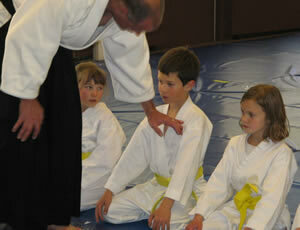 Michael teaches the kids program, ready to bow in.